Narong Sithiwej of the PAD and Prayong Wongtapha of the UDD shake hands at the reconciliation ceremony in Mae Hong Son on June 9. 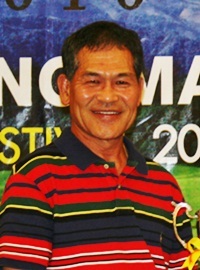 Pairote Saengphuwong, Deputy Governor of Chiang Mai has been promoted by the Ministry of Interior to be the acting Governor of Chumporn Province in the South before retiring. Pairote’s key role in preventing the Red shirt protestors from burning down Chiang Mai City Hall and his mediating abilities with the Red shirts were an important component in the promotion. The Ministry of Interior said his work as Deputy Governor could be a model for the younger generation. Deputy Governor Pairote, who assumes his new job on June 12, said that he would perform his duties to the best of his ability. 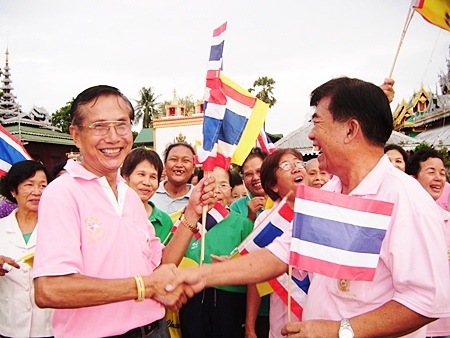 The Deputy Governor of Chumphon, Warakarn Yokying, will take over the position of Deputy Governor in Chiang Mai. 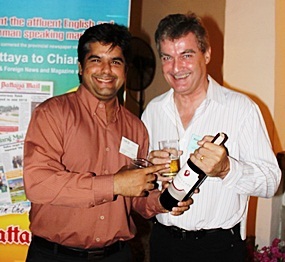 The Chiang Mai Mail would like to offer their congratulations to Deputy Governor Pairote and wish him well on his new endeavor. Fancy a DB5? For $6 million? 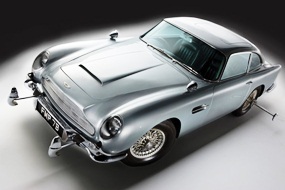 The James Bond 1964 Aston Martin DB5 is apparently set to fetch more than $6 million when it goes to auction for the first time in its history. The second of only two ‘007’ versions of the famous sports car driven by actor Sean Connery in the ‘60s 007 films Goldfinger and Thunderball will go under the hammer in October in the UK. The latest Networking One evening took place once again at the lovely and serene Rachamankha Hotel just near Wat Phra Singh. 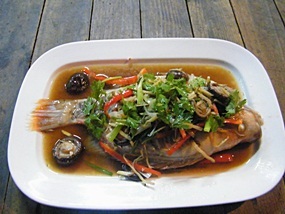 Contributors to this column have – over many years – reviewed every style of eating place from the local Thai stalls and hide-aways and would-be bistros to the upper reaches of Tengoku de Cuisine and the smart dining rooms of five star hotels. Few can have reported on anything quite like this very large eating place which is found in the Hang Dong area: (location and contact details are given at the end of the column). 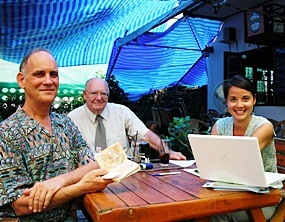 Due to the backlog of service requests built up due to the temporary closure of the Australian Embassy in Bangkok during last month’s demonstrations, a unique one day “clinic” was arranged locally by Honorary Consul Mike Walther. No fewer than 16 northern-based Australian expats took the chance to meet the Embassy’s Second Secretary & Consul, Naomi Vowels, at The Garden Guesthouse & Restaurant, Rachadamnoen Road.